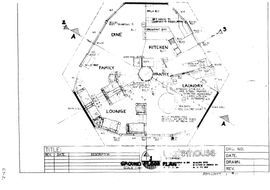 The geodesic dome was ideally suited to be used as a houseboat because it was light, spacious and prefabricated. 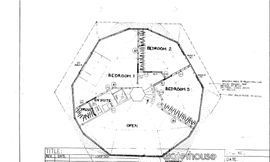 The boathouse was to be a large floating 200 M2, 2 storey, 3 bedroom floating home set over 27 pontoons. 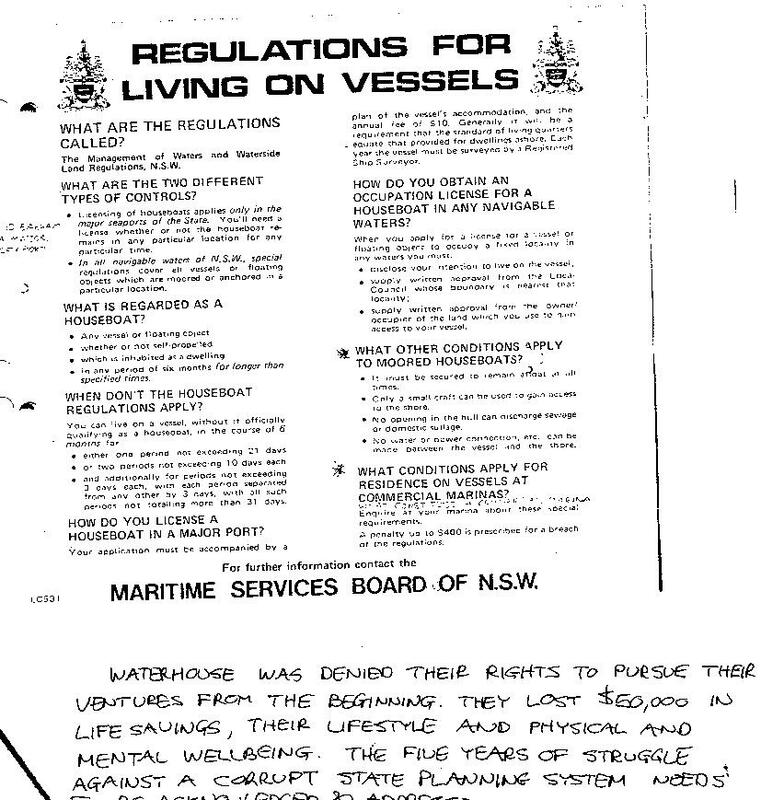 We hoped to sell the houseboat and build others if the commercial venture was successful. 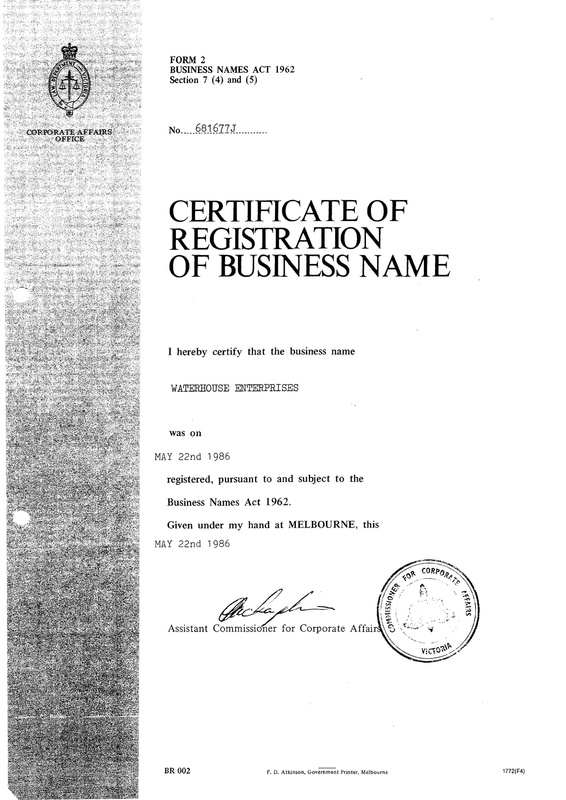 We started our small family business with $50K and called it Waterhouse Enterprises. Our vessel was designed to be towed about by a powerboat. This boat would contain a large waste holding tank which could be driven to emptied at a suitable dump point. 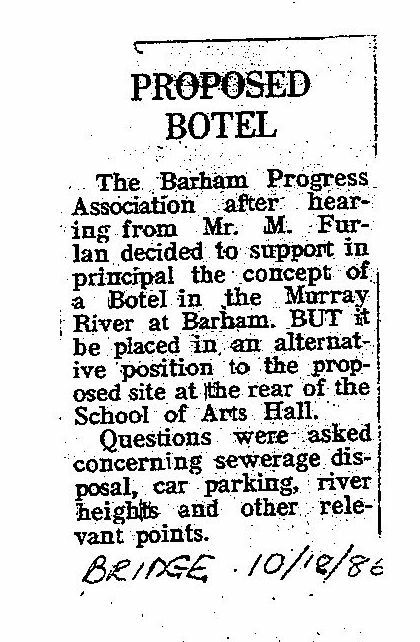 Barham did not have a sewerage pump-out facility for houseboats. There were 4 other private and commercial houseboats in the area. The closest facilities for disposing of vessel sewerage were at Echuca and Mildura. 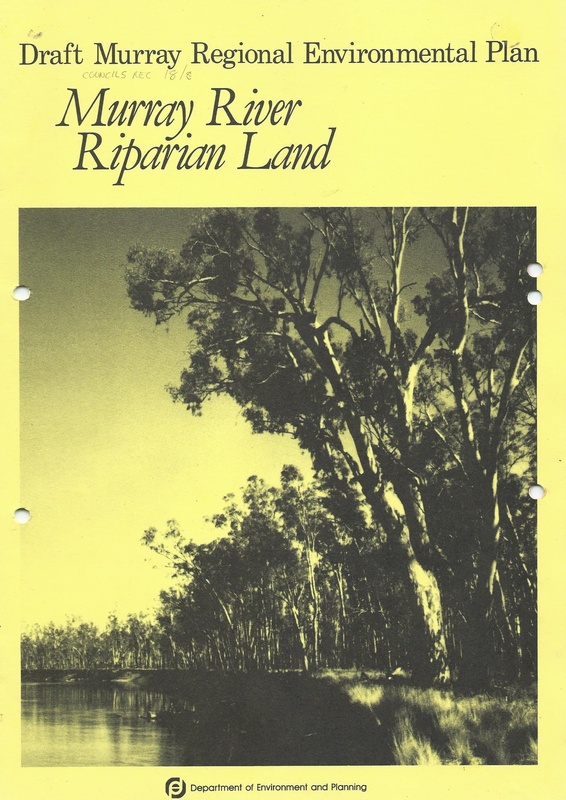 NSW Planning and Environment Department. .
A Regional Environment Plan for the Murray River Riparian Land was being considered. It was at draft stage and yet it greatly hindered our plans. 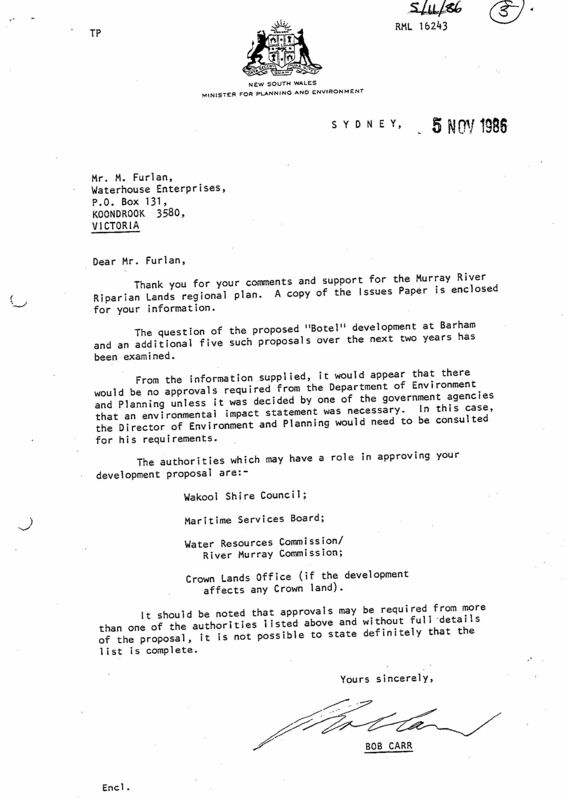 The department called for public submissions and we wrote to Minister about a chain of Botels as a way of providing pump-out stations right along the Murray River. 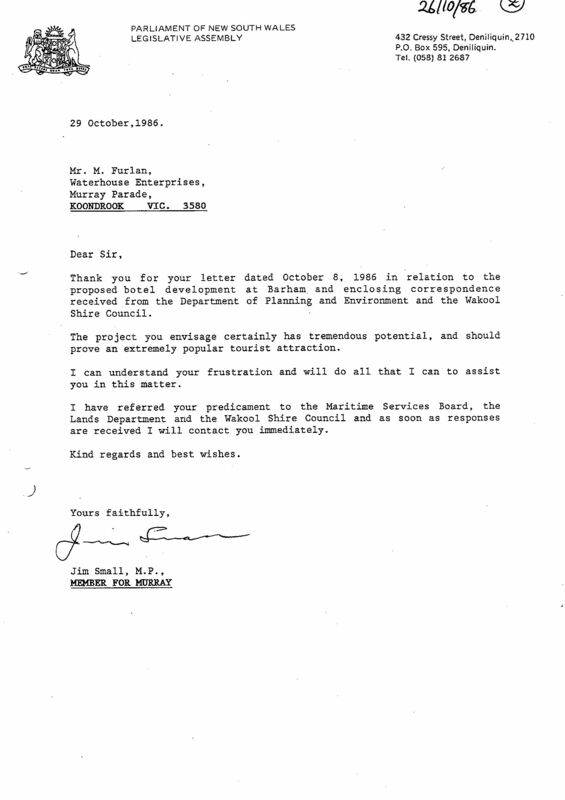 These had long been promised by Public Works but not delivered. 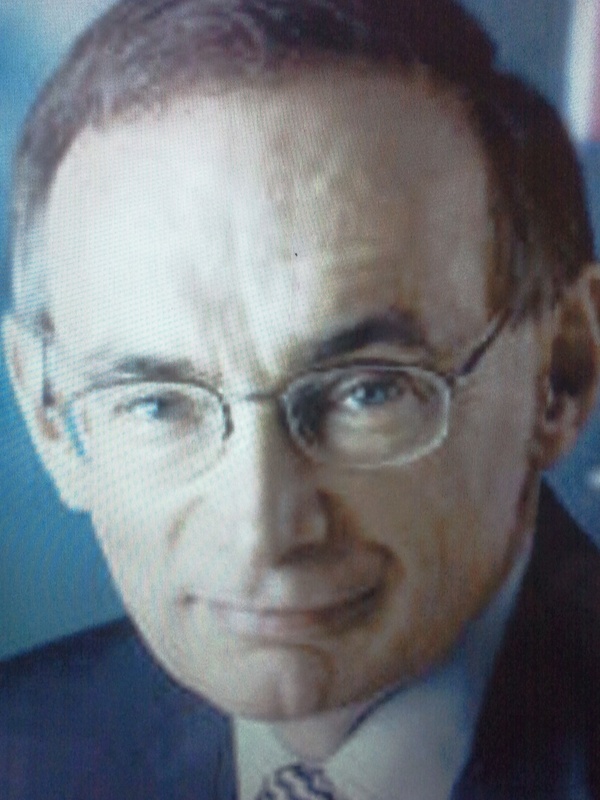 Bob Carr acknowledged our plan however we still did not have our mooring licence. We approached Jim Small MP, who was our member of Parliament. He wrote to us offering his help and encouragement. 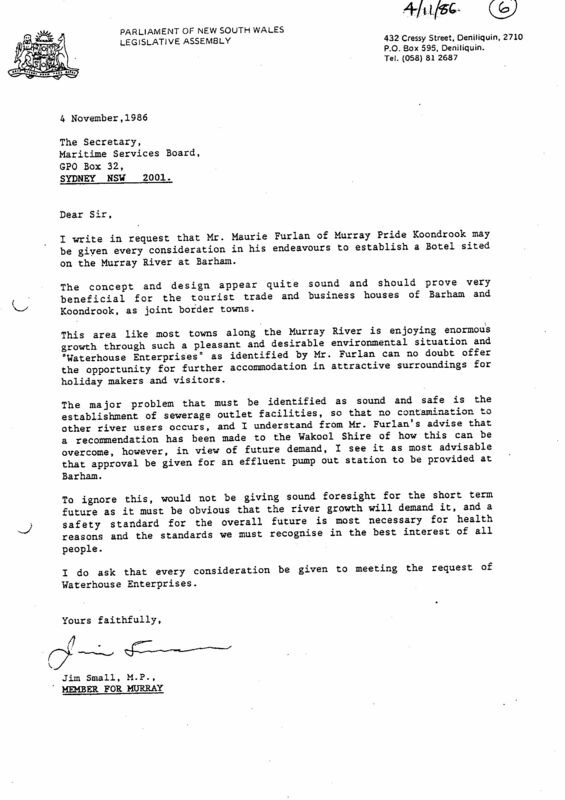 He wrote to the NSW Maritime, Crown Lands and council calling on them to support our proposal and to provide the much needed pump-out station. We sought and received local support. The local newspapers published local Progress Association support. We were were quite confident when we invested our life savings. We bought a substantial amount of prefabricated steel pontoon components and the two house kits. 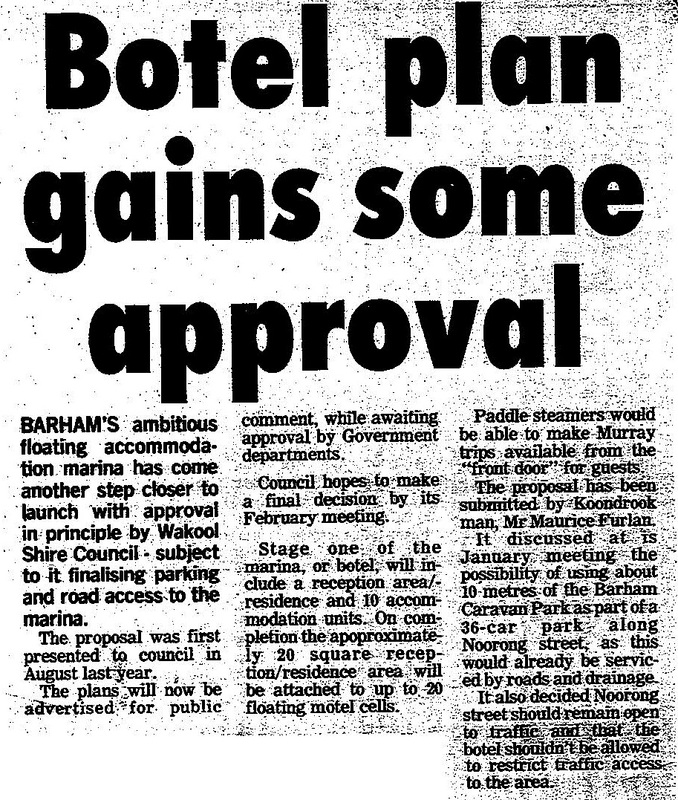 The second lot of materials were purchased to allow the public to form an opinion on the botel concept. This investment meant that we could only complete both vessels to lockup.